SOMETIMES referred to as “the Scottish Planxty”, Ossian were a major presence, riding the instrumental wave of the Scottish folk revival during the Seventies and Eighties and generating a classy sound that combined the vocals of two fine singers with a delicate fretwork of strings and the magisterial sound of the Highland and occasionally uilleann pipes. The band formed through a striking reversal of the usual “electrification” process, when brothers Billy and George Jackson and fiddler John Martin of the Fairport Convention-influenced folk-rock band Contraband downed amps and took up acoustic instruments, including clarsach, guitars, mandolins and Irish pipes. Contraband, featuring singer Mae McKenna, had initially formed to play concerts at the Upper Clyde Shipbuilders’ work-in of 1971-72, making one album for Transatlantic before disbanding (fellow Contraband members guitarist Peter Cairney and drummer Alex Baird would re-unite with the Ossian players to perform and record Billy Jackson’s seminal Wellpark Suite in 1985). Ossian emerged in July 1976, with Billy Jackson now playing clarsach, uilleann pipes and whistle, George on mandolin and guitar, John Martin on fiddle and cello and Billy Ross joining them with his extensive repertoire of Gaelic and Scots song. Their initial appearances were with the Jura Festival Company, providing music for a Western Isles tour of Deirdre of the Sorrows, but they released their eponymously titled debut album the following year. A succession of widely acclaimed albums would follow – St Kilda Wedding, Seal Song, Dove Across the Water and Light on a Distant Shore. As the band grew in reputation and started touring internationally (also in 1978 becoming probably the first Scottish folk group to launch its own label, Iona Records), it was joined in 1981 by singer-guitarist Tony Cuffe, who had hitherto played in two other notable bands, Jock Tamson’s Bairns and Alba. Ossian became a dual-vocalist group for a short while before Billy Ross left to pursue a solo career (although he would subsequently make the albums The Misty Mountain with Billy Jackson and Braes of Lochiel with John Martin). An important further personnel development occurred in 1982 when, once again touring with a theatre company, the Gaelic Fir Chlis, they met up with Iain MacDonald, one of the formidable trio of piping brothers from Glenuig, who added Highland pipes, flute and whistles to the instrumental armoury. 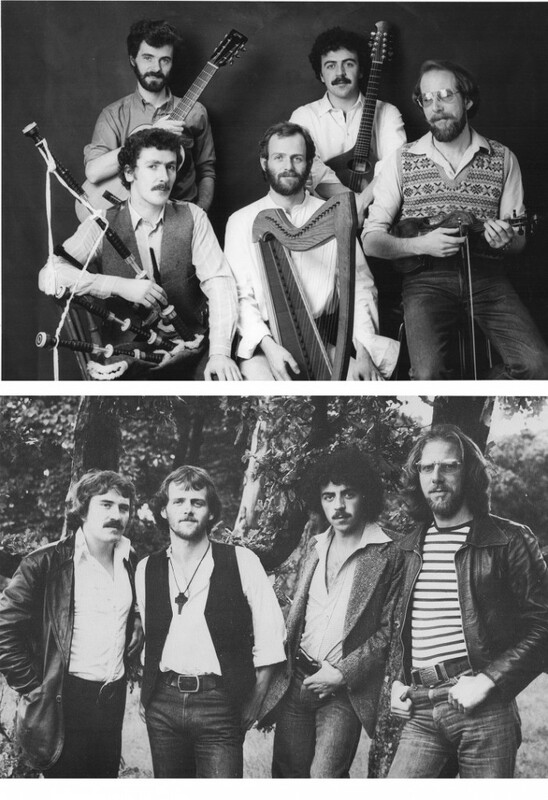 The line–up with Cuffe as singer and MacDonald on pipes stayed fixed until the group disbanded to pursue individual projects in 1989, by which time, Billy Jackson had established an ambitious new form of “folk orchestra” with his Wellpark Suite, which involved all the Ossian players as well as former Contraband colleagues in a 13-piece ensemble. He went on to compose further pieces for large-scale forces, as well as performing solo and recording his own albums and currently lives in Ireland; Tony Cuffe, who had released a solo album, When First I went to Caledonia, in 1988, moved to the United States, where he died in 2001. John Martin and Iain MacDonald both went on to pursue further band careers, Martin with the Easy Club and the Tannahill Weavers, MacDonald with the Battlefield Band. George Jackson, who had made an album, Cairistìona, with singer-harpist Maggie MacInnes in 1984, pursued various projects including further theatre work, community music development and his Ossian records shop in Glasgow, where he died suddenly in 1998. In 1994, the two Billies – Jackson and Ross – briefly revived Ossian, joining up with fiddler Stuart Morrison and piper Iain MacInnes, who had been playing with Ross in Smalltalk, and made on album, The Carrying Stream.